Like I said in the last post, it´s peak season, which means every hostel and bus ticket is booked. 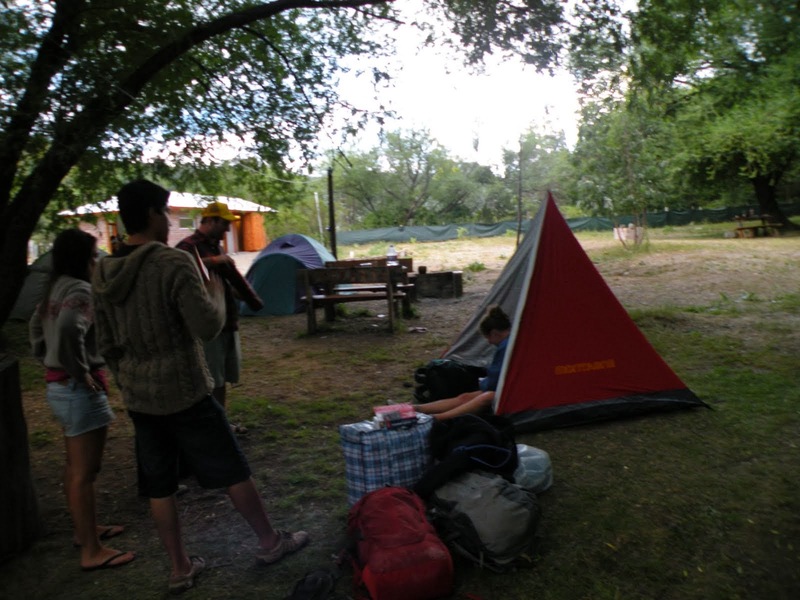 We arrived in El Bolson with no place to stay so we decided to camp- adventure time! Gavin, Laura and I went to an outdoor supply store and rented a tent for four and sleeping bags (no sleeping pad, we wanted to save). 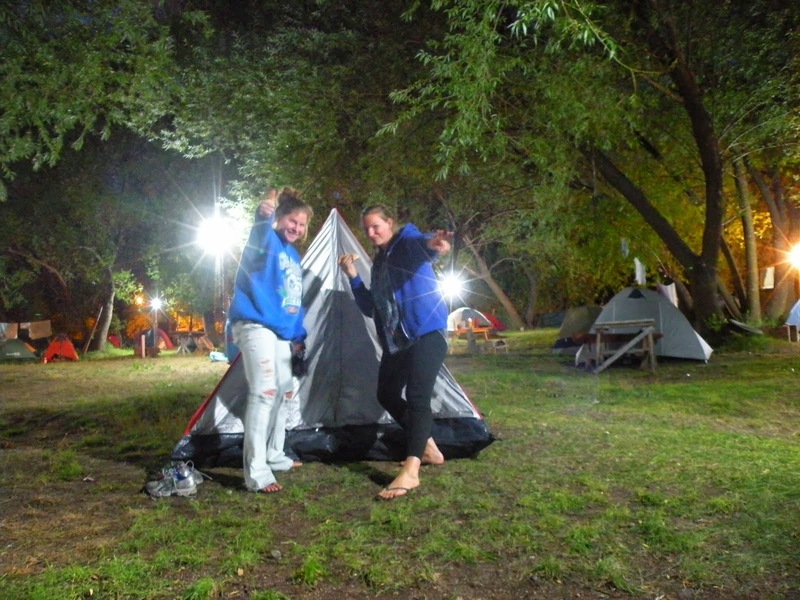 We walked out of town to the camp ground just across the river, these camp grounds are busy with tons of backpackers. Who knew? As Gavin started to set up the tent Laura and I went to the grocery store to get food for dinner. As Laura and I walked back into camp we looked around to find our tent and were really hoping the small pointy one was not ours. Of course, it was. Gavin was in complete turmoil. This tent was suppose to fit four people but we would be lucky if we could even fit two of us and our backpacks. As other campers came around and joined us in staring at our tent someone mentioned they had an extra one person tent. Thank god... we were saved! 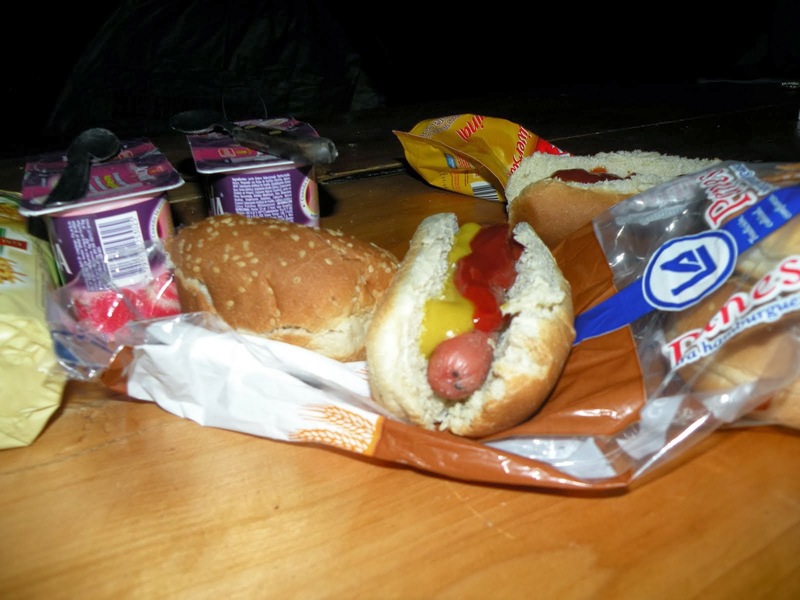 That night we sat around the picnic table eating hot dogs and yogurt while we listened to music with our new Argentine friends. We stayed up all night drinking mate and learning about Argentina. 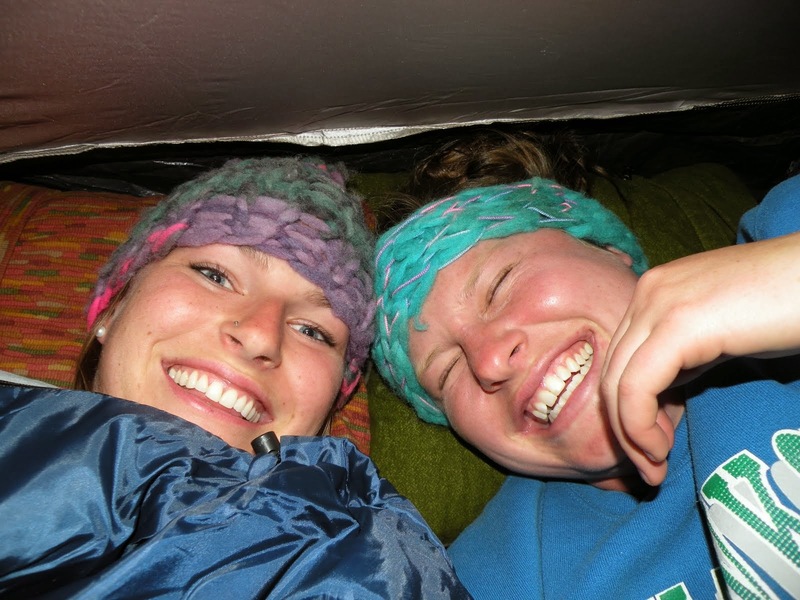 That night as Laura and I crawled into our tent and laid down (our arms were on top of each other all night, the tent was so small) it started to rain. It rained all night and all day. Gavin's tent did not have a rain fly so he was in a swimming pool by morning. The next night we went to a hostel.